This article was written by a member of London AF (who are involved with housing activism in the City as published in Rebel City). Angry Londoner writes: “The people who died and lost their homes – this happened to them because they are poor,” Akala, rapper and poet, local resident. “Regeneration is a euphemism for ethnic and class cleansing”: Kensington resident and writer Ishmahil Blagrove. Guilty: Boris Johnson. When Mayor of London he put through cuts including the closure of 10 fire stations and the loss of 552 firefighters jobs despite pre-election promises not to do so. When questioned over this at the Greater London Assembly he said: “Get Stuffed”. The loss to the fire services meant a slower response time to the fire, with fire teams having to be called in from outside London. Guilty: Kensington and Chelsea Council. They repeatedly ignored warnings for years from residents about fire hazards. They attempted to close down a blogger, Francis O’Connor, member of the Grenfell Action Group (GAG) after he warned about fire hazards at Grenfell. They sent a lawyer to threaten him, which he ignored. Nicholas Paget-Brown, leader of the council, attended a private dinner to which he was invited by organizers of the MIPIM (property developers’ event) conference in 2015. The council has had plans to cleanse the residents and build luxury flats in the neighbourhood for the last three years. Now Paget-Brown is trying to put blame on the residents by falsely saying that they objected to water sprinklers. Guilty: Kensington and Chelsea Tenants Management Organisation. The “armâ€™s length” body set up by Kensington and Chelsea Council to manage Grenfell block ignored tenantsâ€™ warnings. It was handed Â£11 million by the Council to manage the block and in 2015-2016 its bosses got a grand total of Â£650,794 in salaries! As GAG wrote: “We believe that the KCTMO have ensured their ongoing survival by the use of proxy votes at their Annual General Meeting that see them returned with a mandate of 98% in favour of the continuation of their inept and highly dangerous management of our homes” and that “It is our conviction that a serious fire in a tower block or similar high density residential property is the most likely reason that those who wield power at the KCTMO will be found out and brought to justice! The Grenfell Action Group believe that the KCTMO narrowly averted a major fire disaster at Grenfell Tower in 2013 when residents experienced a period of terrifying power surges that were subsequently found to have been caused by faulty wiring. We believe that our attempts to highlight the seriousness of this event were covered up by the KCTMO with the help of the RBKC Scrutiny Committee who refused to investigate the legitimate concerns of tenants and leaseholders.” (this was written in November 2016!) KCTMO was given a “deficiency notice” last year by the London fire brigade after an audit at another of its properties. Guilty: Gavin Barwell. Now Theresa Mayâ€™s chief of staff, the then Housing Minister in 2013 promised to review part B of the Building Regulations 2010, relating to fire safety, but the review never happened. This was after the fire at another tower block, Lakanal House in Southwark in 2009 that killed six people. Instead housing ministers have sat on it for four years! 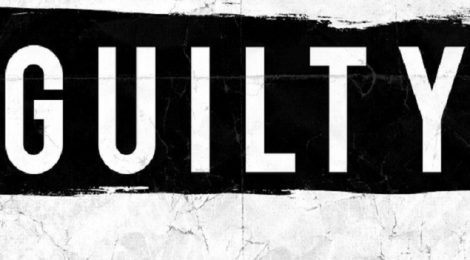 Guilty: Brandon Lewis. Another Tory Housing Minister who sat on information about fire risks at blocks like Grenfell because it would “discourage building”. He waved away suggestions about installation of water sprinklers in 2014 saying it was “all red tape”. Guilty: The Conservative government itself and back bench Tory MPS who voted against a motion to make “homes fit or human habitation” in 2016 with a clause to undertake regular electrical checking. Among these were 72 MPs who are also landlords, including the present Police and Fire Minister Nick Hurd. The then local government minister Marcus Jones said: it “would result in unnecessary regulation and cost to landlords”. But GUILTY most of all is the whole class system, capitalism itself, that for decades now has unleashed the policies of neoliberalism on the working class, policies of the unbridled market, policies of austerity, policies of vicious attacks on social services and what is the robbing of the poor to make the wealthy even wealthier. This system should be sentenced to death.